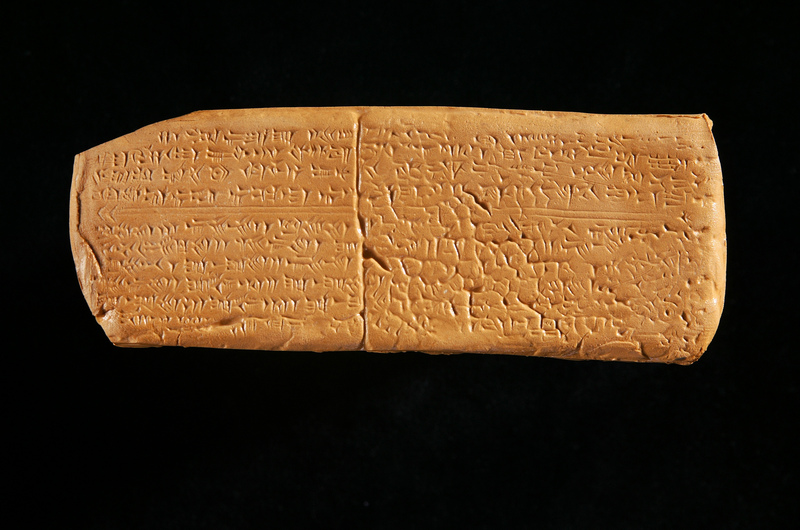 The Hurrian Hymn was discovered in the 1950s on a clay tablet inscribed with Cuneiform text. It’s the oldest surviving melody and is over 3400 years old. The hymn was discovered on a clay tablet in Ugarit, now part of modern-day Syria, and is dedicated the Hurrians’ goddess of the orchards Nikkal. The clay tablet text, which was discovered alongside around 30 other tablet fragments, specifies 9 lyre strings and the intervals between those strings – kind of like an ancient guitar tab. But this is the only hymn that could be reconstructed – although the name of the composer is now lost. Doesn’t look much like music does it…? The system of music notation we use now wasn’t invented until 1000 AD. This is something altogether different. The notation here is essentially a set of instructions for intervals and tuning based around a heptatonic diatonic scale. There’s much more detail about the precise language and instructions here.